Whether you breed champion gun dogs, run a destination preserve, offer gear to hunters, or trade in fine shotguns, you need to communicate with new and old customers alike. Word of mouth is vital, but can only take you so far. Sam Colt may have built the first Great Equalizer, but in today's world, the web has completely leveled the economic playing field. Larger operations may have larger marketing budgets, but a smaller business cannot afford not to buff up its web presence. With quality images and copy, a well-considered web site - even a modest one - can convey to your new online visitors all of the credibility for which your existing customers already remember you. You may need some help with your own material, or may want to talk about having our content team work with you to re-imagine your online brand and produce an atmosphere that really says who you are. We've done it all: professional digital photography, copy writing, advanced web design (including complex databases and e-commerce systems), affiliate marketing campaigns, search engine ad management - the works. Of course, other people do that too, and they'll be happy to sit around the conference table and tell you about the services they provide. But the people at Upland Life consider a day in the field with good friends, great dogs, Dad's old Browning, and a conversation over a sip and meal back at the lodge to be a real business meeting. We can offer an hour's help on your more casual new media projects, or we can design, build, and securely host your entire web presence. The world needs more and better businesses that celebrate and promote the great traditions of the upland lifestyle. We want you to succeed in that area, we're passionate about everything surrounding this topic, and encourage you to contact us if you're curious about putting that passion to work for you. 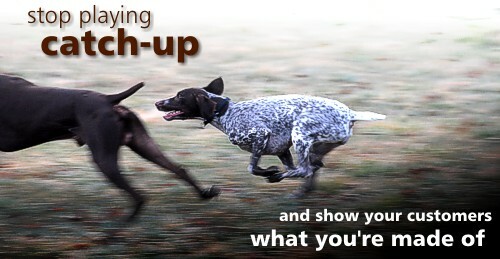 Professional results - from bird dogs and your web site - take some maturity, perspective, and practice.